As the world heads towards a more sustainable future, business and government leaders face challenges on how to reconcile conservation and development. IUCN-led Independent, Scientific and Technical Advisory Panels (ISTAPs) are helping to address complex and often contentious issues concerning natural resource use. They offer unbiased, scientific advice to reduce a project’s impacts on nature and identify solutions that can contribute to conservation while meeting economic and development goals. The first ISTAP to be created was the Western Gray Whale Advisory Panel (WGWAP), in 2004. WGWAP provides independent advice to Sakhalin Energy on how to minimise risks associated with its operations on gray whales and their habitat while working with other actors to ensure the whale’s long-term conservation. The whales’ feeding areas near Sakhalin Island, off the Russian coast – a region with large offshore oil and gas deposits – are vital for maintaining the population. As with all of IUCN’s independent panels, there are inherent risks and challenges which require continued vigilance. These include reputational risk from being associated with providing advice on high-impact schemes involving the private sector or large development activities. Collaboration between business, the public sector and civil society can highlight differences in how institutions approach specific challenges. Relationship development and trust building among these institutions are therefore key. For example, business and academia may have different ideas about the time and resources needed for data collection, consultation, decision making and monitoring. Other risks include the flexibility of the contracting business or government agency to change its priorities based on any scientific-based evidence, as well as the budget and time needed for the panel to produce conclusions and recommendations. All of the key attributes of IUCN’s scientific panels have worked together in the case of WGWAP to ensure a strong foundation for building trust and relationships among a broad group of stakeholders, some of whom have been at loggerheads for years. It takes time to reach a common understanding of controversial issues and a way forward, but WGWAP has built a steady momentum over the years to reach the influence in areas and sectors beyond the original ambition. In 2005, Sakhalin Energy altered the route of its pipeline after the WGWAP recommended an alternative that would minimise impacts on the whales’ feeding grounds. The WGWAP Oil Spill Task Force helped develop a corporate oil spill response, which was seen as one of the best in the business. Sakhalin Energy postponed its large seismic survey for a year in 2009, following advice from WGWAP, and worked with the panel on one of the most complete company-level monitoring and mitigation plans in relation to whale conservation and seismic surveys. Subsequent guidelines for effective and environmentally responsible seismic surveys focusing on the protection of whales and other marine species are now being used by practitioners around the world and have informed policy in the US, New Zealand and within the Convention on Biological Diversity. WGWAP’s experience has significant potential to influence future developments in other oil and gas regions with important conservation challenges, such as the Arctic. It is also guiding other ISTAPs on controversial conservation and development issues. WGWAP’s findings have contributed to the International Whaling Commission, as well as the conservation debate in the Russian Federation and beyond. 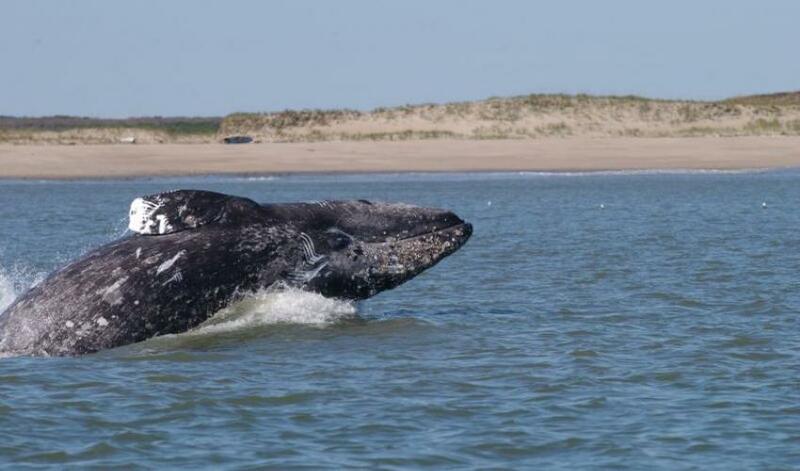 In the early 2000s, there was growing concern over the potential impacts of oil and gas operations on a small population of Critically Endangered western gray whales that fed every summer and autumn off Russia’s Sakhalin Island in the Sea of Okhotsk. When one of the main companies, Sakhalin Energy, sought funding to expand its operations, public outcry reached a crescendo and an unprecedented condition was placed on the loan agreement, requiring the company to take advice from an independent group of scientists. In 2004, IUCN was called on to convene what is known today as the Western Gray Whale Advisory Panel (WGWAP). More than a decade later, the panel continues to provide objective, independent advice to the company and other actors on the conservation of these whales and their habitat. One of the first actions agreed in 2005 was that Sakhalin Energy would re-route a pipeline after the panel recommended an alternative route to minimise disruption to the whale’s feeding grounds. Since then, WGWAP has contributed to technical guidance and the development of best practice on a range of issues – from corporate oil spill response plans to seismic survey monitoring and mitigation plans. It has also provided a platform for scientific collaboration, including with government, the International Whaling Commission and civil society. Importantly, during this time, through collective efforts, the population of western gray whales has increased 3-4% annually, from an estimated 115 animals in 2004 to 174 in 2015. However, the panel has warned that further work is needed to engage other oil and gas operators in the region, as well as other sectors such as fisheries and tourism, to ensure the long-term protection of the whales. WGWAP has shown that independent science-based panels can turn arenas of potential conflict into spaces for cooperation and even collaboration, and help companies in any sector reduce their impact on ecologically sensitive areas or vulnerable species. This solution is published in the PANORAMA Soluciones para el Compromiso Empresarial and Marino y costero portal.